Reggie's love for music began at age 11 while watching the movie "The Pink Panther". The saxophone in the opening sound track completely captivated him and so it began. Reggie recalls; "The first time I went on stage to perform was in a junior high recital in which I played, Mrs. Brown You've Got a Lovely Daughter. I remember first, that moment when I played my last note, seeing the proud look on my parents face and secondly hearing the applause from the audience. At that point, I was hooked for life". 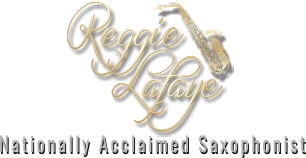 Fast forward to today and you will find Reggie still captivating audiences everywhere he performs. He has his own unique poise on stage and skillful sax articulation. 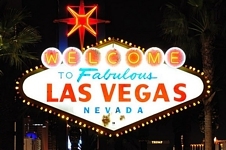 His signature sound has enabled him to perform on countless TV shows, jazz festivals from Canada to Mexico and the Virgin Islands and stages such as Caesars Palace, The MGM Grand and The Landmark Hotel in Las Vegas . He has performed on The St. Louis Admiral show-boat and in Nashville, the General Jackson, the Opryland Hotel and The Grand Ole Opry, He has either opened for or played with, Reba McEntire, Little Richard, Pat Boone, BB King, Roy Rogers and Dale Evans, Lee Greenwood, Conway Twitty and Loretta Lynn, The Mandrell Sisters, Jerry Lee Lewis, Johnny Cash, The Gatlin Brothers, Restless Heart, Ball In The House, and a special guest artist with, The Paducah Symphony Orchestra, Mastro Raffaele Ponti, Conductor. Reggie's latest musical project released in December of 2016, consists of a collection of 40 tunes capturing the "Rat Pack Era" through the latest tunes for the 21st century. When I asked him what genre fit him best he paused, and said, "Im not sure one word or style would define me". "I am soulful with a twist of contemporary jazz and blues". He then laughed and said," but not all at one time. Each tune that I perform has my signature sound entwined within it. This enables me to reach audiences of all ages with different taste in music". 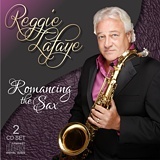 Reggie's undeniable Smooth Sax renditions which he performs on the soprano, alto and tenor saxes, seems to define poignantly the man behind the saxophone.